Airfryer Crispy Roasted Onion Potatoes are a quick and simple 3 ingredient side dish recipe ready in just 20 minutes! 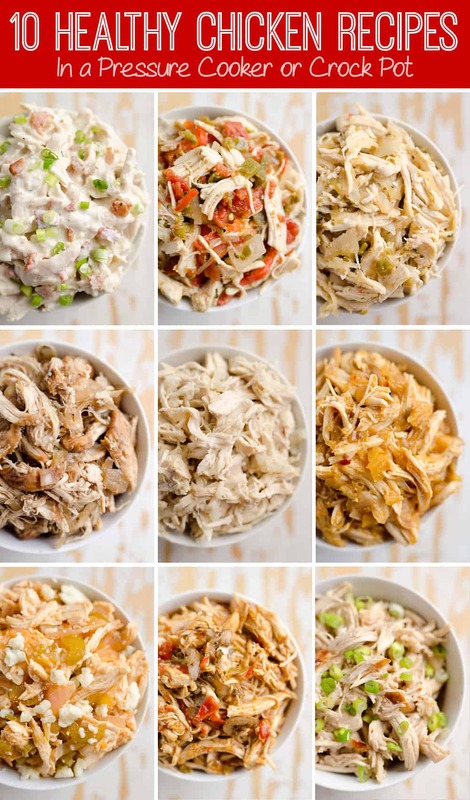 You guys know I love Instant Pot recipes, as I have been making more and more of them lately. What you might not realize, is that i use my Airfryer even more than my electric pressure cooker! The fact of the matter is, I typically use my Airfryer for super lazy last minute meals. Whether I’m popping some frozen chicken strips and sweet potato fries or making a mini pizza, it is such a convenient appliance for baking things up quickly and with little fuss. Every now and again, I even use it for a real life recipe like these Airfryer Crispy Roasted Onion Potatoes or Airfryer Baked Thai Peanut Chicken Egg Rolls. This recipe isn’t something new and inventive by any stretch of the imagination. My mom was making this classic recipe with Lipton Onion Soup Mix in the oven, back when we were children. 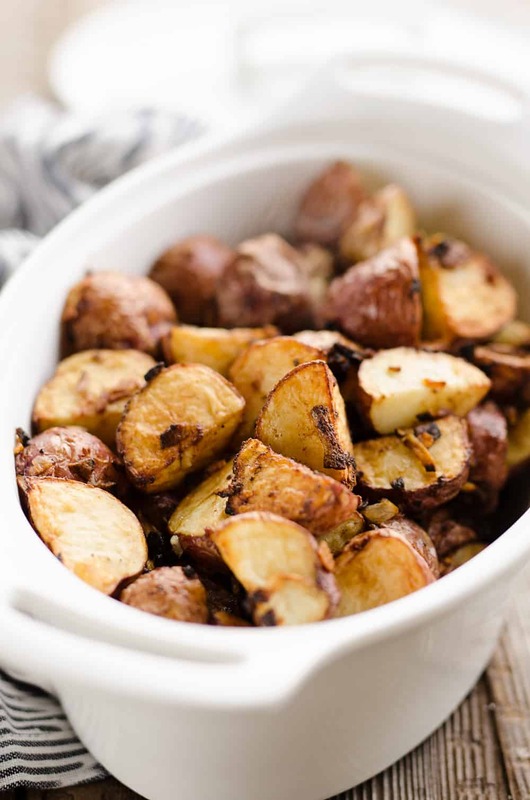 The difference is, this recipe for Airfryer Crispy Roasted Onion Potatoes uses less oil and is ready in a fraction of the time thanks to the Airfryer technology. Simply toss your baby red potatoes with olive oil and a packet of the onion soup mix and put them in your Airfryer basket. 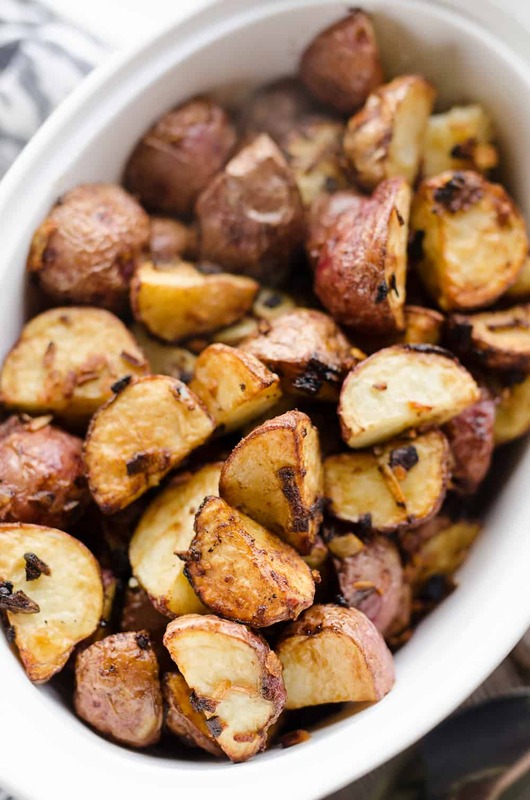 Bake the potatoes on the highest heat setting for 20 minutes, giving them one toss in the middle of the cooking time. 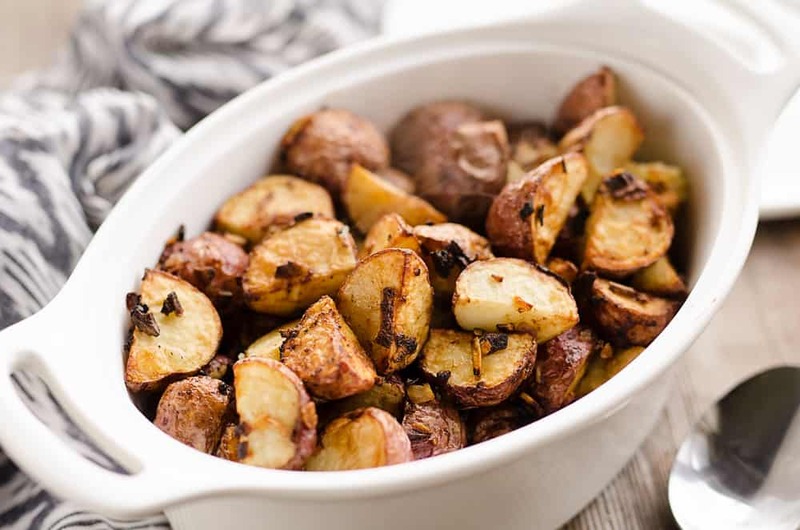 After 20 minutes, you will have beautiful crispy potatoes with perfectly cooked centers ready for a delicious side dish. 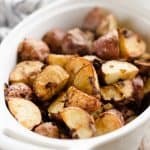 I love pairing these Airfryer Crispy Roasted Onion Potatoes with a Pressure Cooker Pork Loin or a simple grilled chicken breast. I recently brought some of these out to guys working in the field with pork loin and they were definitely happy campers! Airfryer Crispy Roasted Onion Potatoes are a quick and simple side dish recipe ready in just 20 minutes! Quarter the potatoes and toss them in the olive oil in a medium bowl. Add the onion soup mix and stir until all the potatoes are well coated. Add the potatoes to the Airfryer basket and cook at 390° for 17-20 minutes (or until potatoes are tender and golden brown), stirring the potatoes half way through. Ok, I must be hiding under a rock….when did these air fryers come out???? 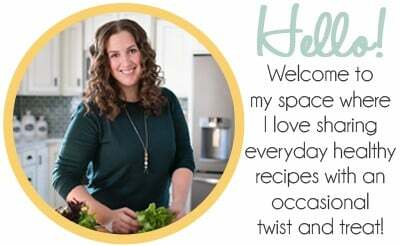 I’m getting so far behind…I haven’t even got an Instant Pot yet! Seriously making this ASAP. 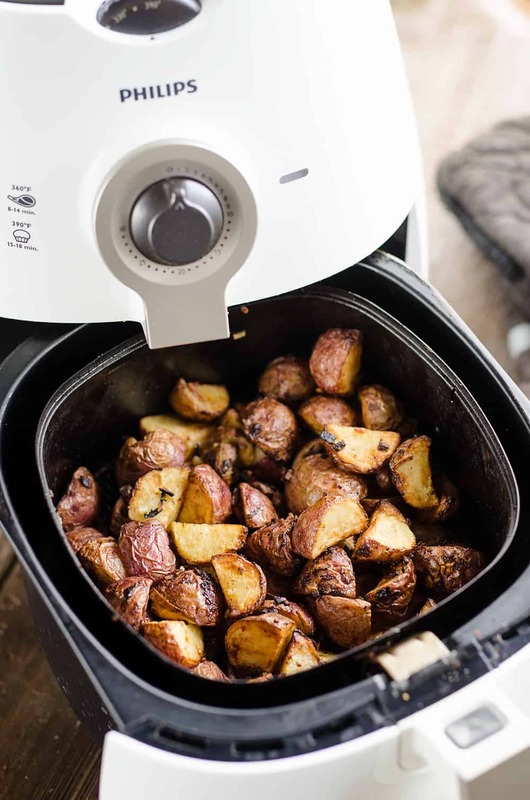 I loved those potatoes and my air fryer is going to make them even better!! I have never used an air fryer before! Do they make good French fries? Yes! The AirFryer is absolutely amazing!! You can put almost anything in it!! Whatever the instructions say for the oven, the AirFryer will cook in half the time!! They do! I love making sweet potato fries in mine. Never used an AirFryer. Now you’ve got my Googling away. Haha. 😉 Yummy potatoes. My Air fryer says to soak my potatoes for 30 minutes before I do any recipe. Yours doesn’t say to do that. Should I? Nope, I wouldn’t soak my potatoes for this recipe. I didn’t and they came out great. If you want your potatoes soft on the inside and crunchy on the outside then soak them in hot water for about 5 minutes. Do not let the water boil. Salt your water for an even better taste !!! I hope you weren’t “Children in the over” as you state, lol! I made these tonight and they were AWESOME!!! Thank you. They are my new go-to potato recipe. Everybody loved them. Happy to hear you enjoyed them! This is such a great idea to try with my Airfryer! I have russet potatoes – would that work? Really want to try this tonight!